IAAPA Attractions Expo 2017, check. A good week. For IAAPA, not just a good week, but a great one. You can read more about the facts and figures here. And for me, a week I survived. I am tired. But most likely not half as tired, as all the IAAPA staff that made all this possible. An Expo like IAAPA’s is in many way a peculiar thing. The transactional element – the market connections, the buying and selling – is of course a big part of the economic engine, thrusting both the Expo and the association forward. But at same time, it is more than that. The Expo is really as much a meeting place. And a very much needed one. The attractions industry is a very diverse – and dispersed – industry. Most of us not operating within a larger corporate structure operate somewhat in isolation. In contrast to many other industries, you can’t just drive up the road to meet a counterpart. Benchmark. Share. Learn. It is very easy to become introverted. Reinvent the wheel and loose perspective, if you live in that bubble. But this is where IAAPA comes into play. IAAPA in general, and the Expo in particular, has bursts those bubbles. Or, in lack of a better expression, connects them. Bringing people together. Making them feel part of something bigger. This is also why I am quite confident, that the Expo has a long and bright future ahead. In the world of digital market places and accelerating change, there will still be a need for the physical meetings, bursting those bubbles. 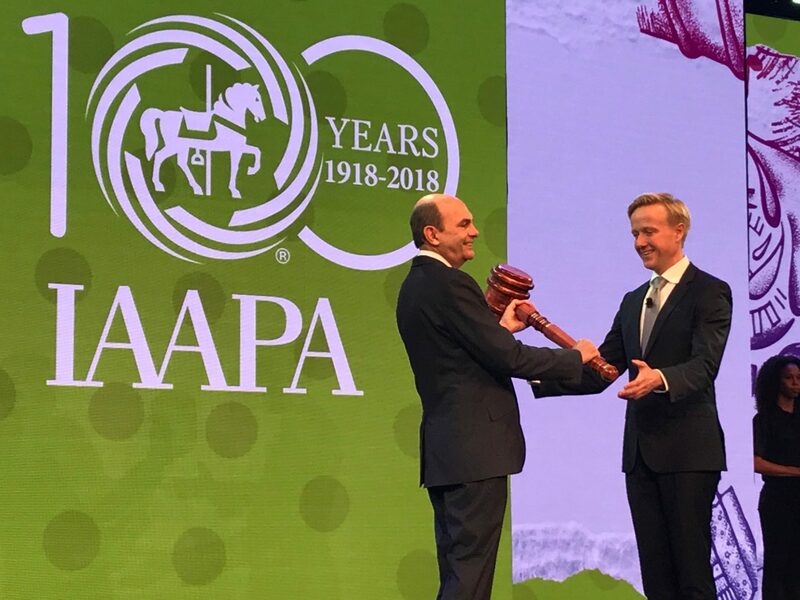 IAAPA is my window into the world. And I am so very, very proud of to be part of the IAAPA family.